Home > How can you measure the value of a webpage? 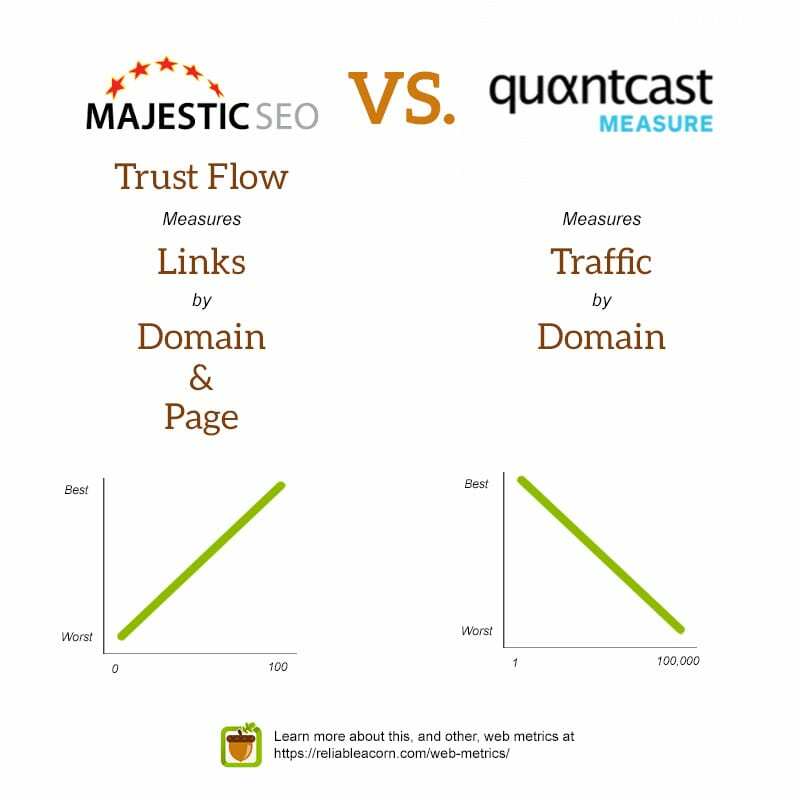 > How is Quantcast Measure different from Majestic Trust Flow? How is Quantcast Measure different from Majestic Trust Flow? Majestic Trust Flow is a tool which calculates the links a domain or page gets from a set of trusted seed sites to make a score on a scale between 0-100. On the other hand, Quantcast Measure is a audience measurement tool for website traffic. This typically ranks domains from best (#1) to the 100,000th most visited website.